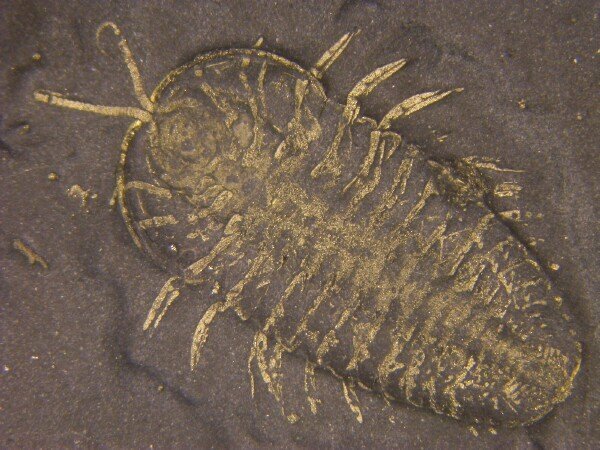 Description: There are but a handful of fossil sites (Konservat-Lagerstätten) where trilobite soft parts are preserved, especially the trilobite legs and the delicate antennae. 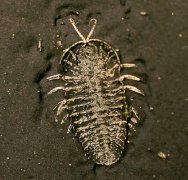 These include the Chengjiang Maotianshan Shales of China, Bundenbach in Germany, the Burgess Shale of Canada, and Beecher’s Trilobite Bed of the Lorraine Shale in New York. 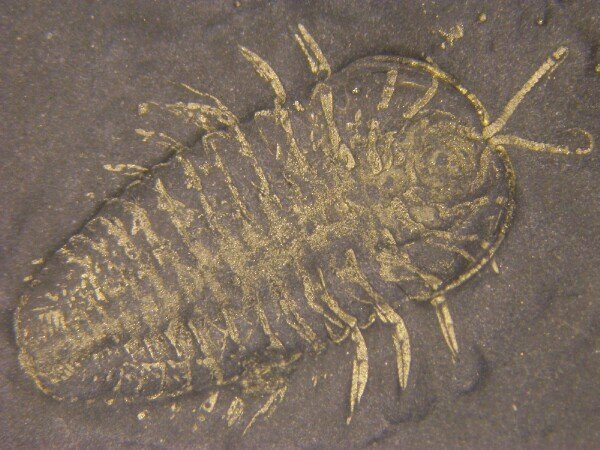 Another New York Lagerstätte was discovered in 2005 with exquisitely preserved trilobites, as the ones shown here. This site in Lewis County, New York exposes the Lorraine Shale. 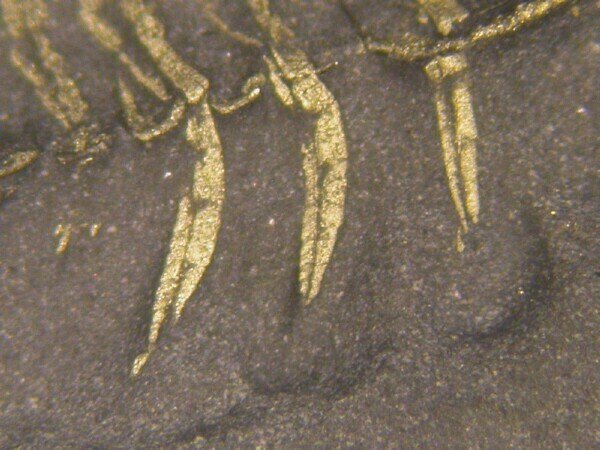 These trilobites were ostensibly rapidly buried in oxygen-starved sediment (anoxic) enabling extremely fine detains to be pyritized, including replacement of soft tissues. 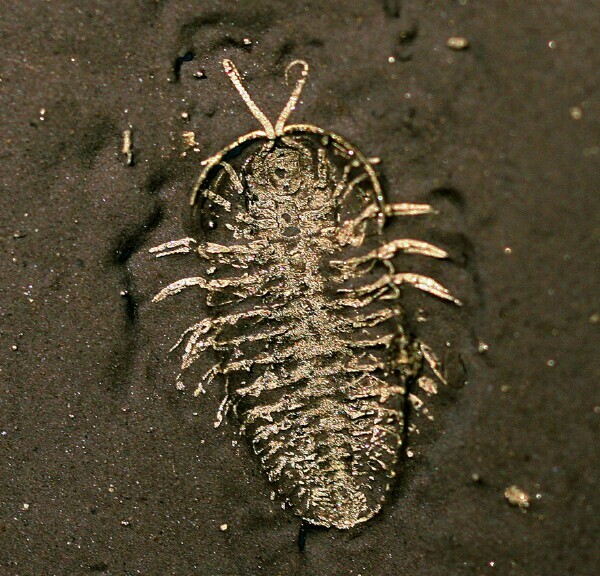 Note in the ventrally exposed trilobite that the biramous limbs are clearly evidenced, as well as the antennae abductors and mandibles. 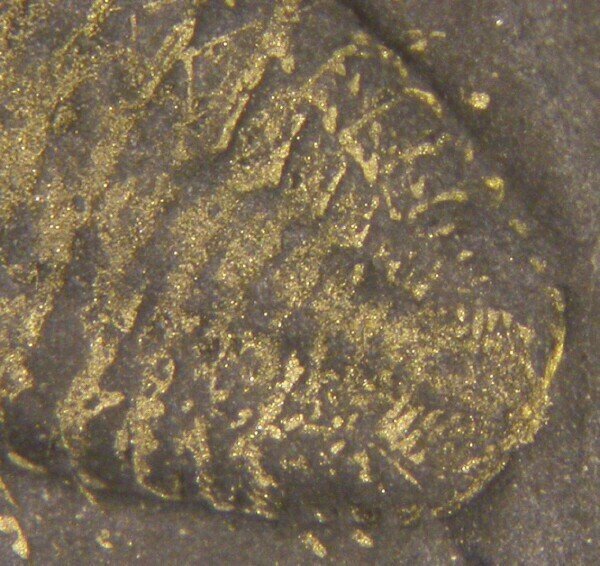 The gold pyrite is a striking contrast to the dark matrix. 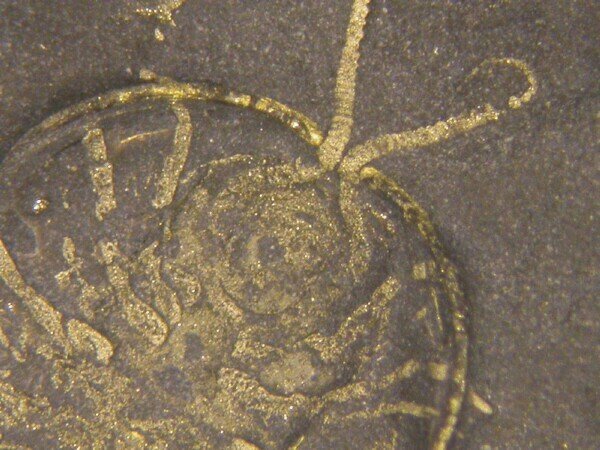 This fine example is preserved in ventral aspect with both antennae and many biramous limbs in evidence. It is one thing to find such a trilobite, and quite another to prepare it with pneumatic equipment with fine, soft grit so that the exquisite details are not lost – numerous painstaking hours are required under the microscope.